"Ethical Responsibility on the Internet"
Archpr. Themistoklis Mourtzanos discusses with Nikos Smyrnakis, author of the excellent book "Ethical Responsibility on the Internet" (Series: Globalization and Governance, Papazisi Publications) and Stavros Katsios, Professor of the Ionian University and director of GEOLAB and of the publication series about this crucial issue for younger and older. 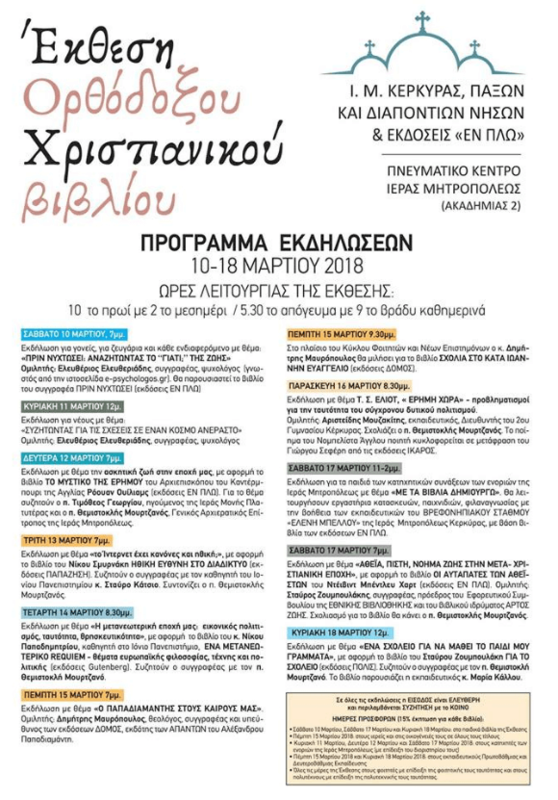 The event takes place in the context of the Book Fair organized by the Holy Metropolis of Corfu and the publications of EN PLO.